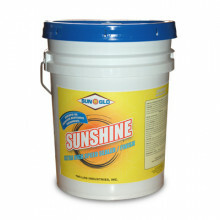 A robust floor finish designed for high maintenance environments. Exhibits exceptional off the mop gloss with few coats. Buff nightly to restore original gloss. Blends easily for spot recoats. NYS OGS approved.